21st Century and thealarm.com is proud to announce that Ian McNabb of both solo and Icicle Works fame will be appearing as special guest at this year’s Gathering 25th Anniversary. 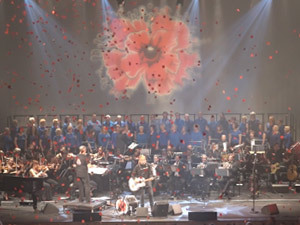 “I am very excited and proud to tell you I will be performing at Mike Peters’ and the Alarm’s Gathering celebration next year”, said Ian McNabb on his website. “Thank you so much to Mike and Jules for giving me this opportunity to play in front of Mike’s loyal and loving fans. See you there! I x”. Ian McNabb will bring his incredible songs and powerful musicianship to the Arena Main Stage on the Saturday evening 4th February 2017. Mike Peters is personally very excited to have Ian come and play. 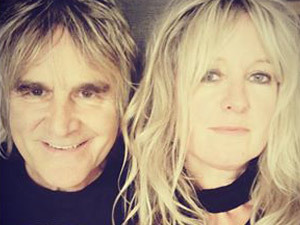 “I’ve known Ian as a fan and as a friend for many years since first seeing him perform live when both The Icicle Works and The Alarm shared tour dates with The Pretenders on their US tour in 1984. I can vividly remember seeing Ian and the band at the Universal Amphitheatre in Los Angeles. Ian’s voice was so beautiful that night and he had the place transfixed from the moment he walked on stage, Meeting him backstage later, just added to the billing. Ian is a warm, witty, gentle, caring and dedicated person blessed with a profound talent and like many of the fans who attend both our shows, I can’t wait to see him perform at The Gathering 25th Anniversary in Llandudno”. Tickets for The Gathering 25th Anniversary 3/4/5 February 2017 at The Arena, Venue Cymru, Llandudno, North Wales are on sale here. “The sweetest guy in rock’n’roll – a legend as far as I am concerned.” – Alan McGee. 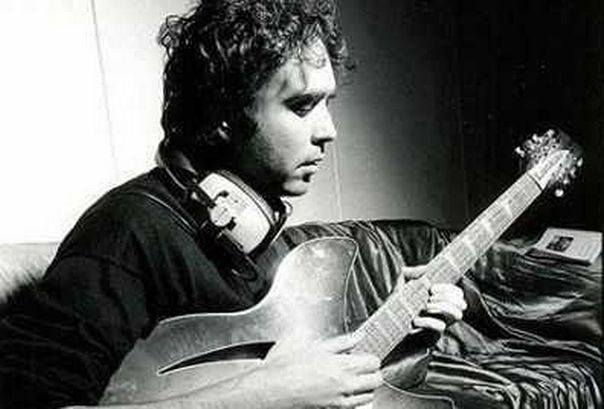 Ian McNabb first rose to prominence with The Icicle Works when they scored two major hit singles ‘Birds Fly (Whisper to a Scream)’ and ‘Love is a Wonderful Colour’ . Their eponymously titled debut album was also a hit on both sides of the Atlantic, achieving gold record status in Canada. The Icicle Works released four albums between 1983 – 1988, all achieving top forty status. Ian hails from Liverpool and released his first solo album ‘Truth and Beauty’ in March 1993, the album was rapturously received by both fans and critics alike, finding its way into magazine end of year polls, and even making it into Q magazine’s ‘best albums released during Q’s lifetime’! ‘Head Like a Rock’ (recorded with Neil Young’s backing band Crazy Horse), was released in July 1994 and an immediate success. The album returned Ian to the upper reaches of the top forty once again, cementing his position as a great British singer-songwriter. Further weight was given to this fact when the album was deemed worthy of a nomination for the prestigious ‘Mercury prize’. Ian ultimately lost out to ‘M people’ but reckons he had more fun at the party than they did. 1996’s ‘Merseybeast’, was once again a top forty success. The ensuing tour ended on a high note when Ian got to share the bill at 1996’s Phoenix festival with Neil Young and Crazy Horse. In 1997, he accepted the job of playing bass in Waterboy Mike Scott’s new touring outfit before writing and recording a new solo album to be released in 1998. The sublime ‘A Party Political Broadcast on Behalf of the Emotional Party’ featured Danny Thompson (Pentangle, John Martyn, Nick Drake) playing upright bass on five tracks, while Mike Scott and Anthony Thistlethwaite (Waterboys) provided acoustic guitar, mandolin and saxophone between them. The stark confessional nature of the songs, combined with the stripped down approach produced a work of dazzling intensity. …the Emotional Party was released in October of 1998, accompanied by the longest tour Ian had yet undertaken in the UK. ‘The Gentleman Adventurer’, a fourteen track album featuring Ian playing almost all the instruments himself was released in 2002. This album contained many fine songs including the enduring in-concert favourites ‘All Things To Everyone’ and ‘Lady By Degrees’. July 2004 saw the release of ‘Potency – The Best Of Ian McNabb’. A long overdue career summary of his post-Icicle Works years, and a fine introduction for the uninitiated. Ian’s 2005 album, ‘Before All Of This’, was previewed by the Top 40 single ‘Let The Young Girl Do What She Wants To’. In Autumn 2006 Ian resurrected The Icicle Works for a major sold-out 25th Anniversary tour which coincided with a 3CD re-issue of the bands debut album. Ian’s autobiography “Merseybeast” was published in October 2008 and was greeted with great acclaim from both critics and fans………….but not ex-girlfriends! Ian spent January through June of 2009 recording his new album “Great Things’ which was released in April 2010 and was preceded by a single “New Light’ which again featured Ian’s old friend Mike Scott (The Waterboys) on guitar and backing vocals. McNabb’s tenth studio album, “Eclectic Warrior”, was created as a pledge music project, and released on Monday, 18 March 2013. In August 2015, McNabb revived The Icicle Works moniker and current lineup for a sporadic set of concerts throughout the rest of the year and on into 2016. In March 2016, McNabb released his first album of covers, titled “Respectfully Yours”.